So here I am again and it's time for the next 10 questions in the 30 day beauty challenge/question thing I'm doing. Enjoy. 11) Do you like wearing bronzer? Truthfully, I don't wear bronzer everyday. I only seems to use it if I'm going out or if it's a really sunny day and I want to make my face sparkle. But yes, I do like it. I think you need to learn how to use properly and not over use it either. Ok, so I use two and without either of them my eyes wouldn't feel the same. I'm not sure why I use two but I just think they go well together. I've always used Maybelline Colossal but found when I bought a new one, it just wasn't the same as before so tried Falsies. But I didn't like that by itself. So had the genius idea of putting them together and I like it. I can't pick between them though. 13) Where do you keep your makeup? When I'm at home, I have two draws draw full of make-up and jewellery and hair bits and pieces. So it's in there. When I'm at uni though. Well it started in a draw and then I got a bit lazy so it's kind of just splattered across my table with some bits in my make-up bag. It's just easier to put on in the morning. 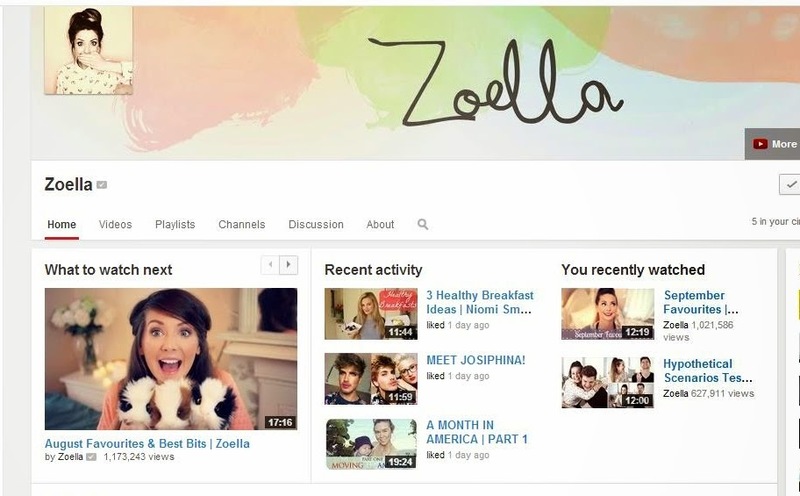 I've recently become a Youtube addict which is really bad for my uni course work. But if I had to pick, there are 2. I'll try and keep this short but they're both great especially if you're just starting and learning with makeup. She's not a proper makeup guru but I love the little tutorials she does now and then like her everyday makeup and routines. 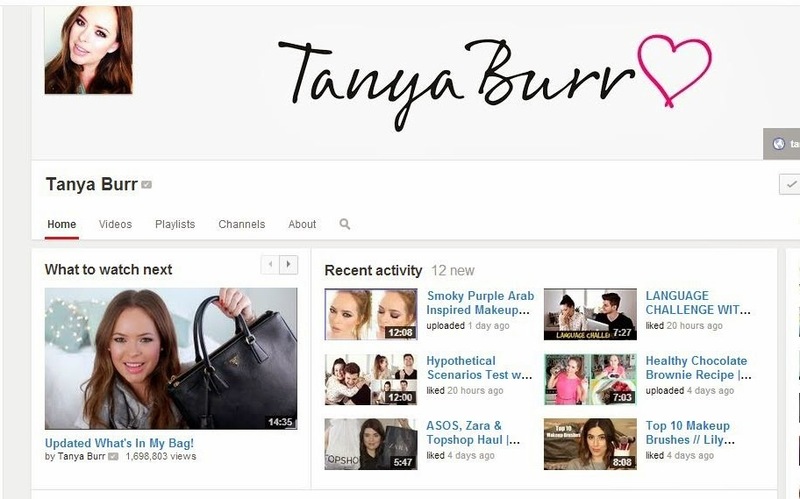 The beauty and makeup hauls always make me want to go and buy and try everything as well. She's great for budget makeup tutorials and hauls so perfect if you want to start a makeup collection. I love her tutorial videos. They're great if you've seen a look and don't even know where to begin. Admittedly, I found out about Maybelline Falsies Mascara from her videos. Decided to buy it and definitely wasn't disappointed. Her being a professional makeup artist I know I'm never going to be as good as her but I love the way she takes your through it step by step. 15) Do you wear blusher? Like with bronzer not all the time. Only when I'm feeling I need it. If there's one I'd recommend its the (yeah you guessed it) Body Shop one. Although I do want to try the Sleek one. I've heard some good things? 16) Do you copy any celebrity makeup looks? Not exactly, no. I use celebrity looks and change them to suit me. Tanya Burr recreates celebrity makeup looks, so I use them and change them to my face. I don't have one to be honest. But let me know if you have any I could check out. 18) What's your favourite night time look? Again, I don't really have one. I add a bit more mascara and blusher and bronzer. I don't always use eye shadow either; it depends on the situation. I'm gonna try false lashes the next time I go out so I hope that goes well. To be honest, I don't have a favourite concealer. I've only ever used three different types. I think my first one was a Collection one, Body Shop and Benefit. I think they're all good so I guess it depends on your skin and which you prefer. 20) Favourite eye shadow primer? Again, I don't really use eye shadow primer. I usually get moisturiser and use that as base. An all over primer I've recently start to use the Maybelline Baby Face one and it's been good so far. Look out for the last 10. Sorry it's taken me so long to post this. Been a bit busy with family weddings and assignments. Look out for a few outfit posts on weddings as well! OOTD: Outfit of the Day. Civil Wedding.